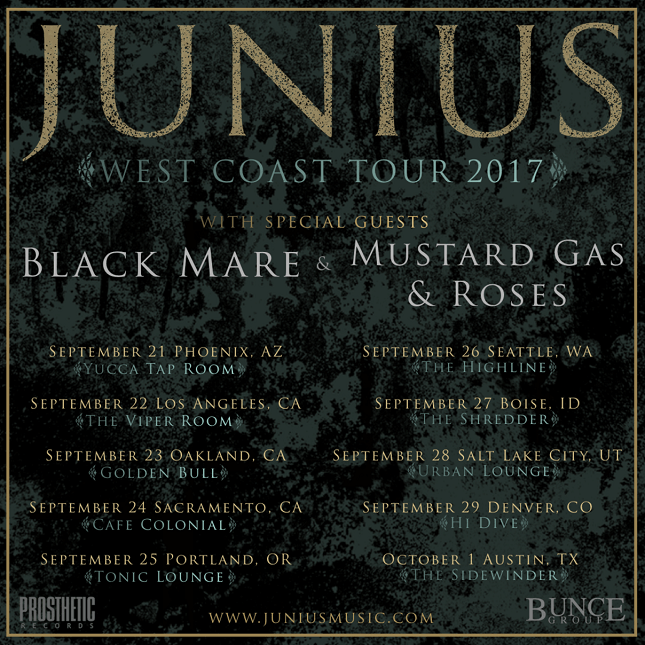 Junius will start a West Coast run tomorrow in Phoenix, AZ and the trek runs through October 1st in Austin, TX. Junius released their new album Eternal Rituals For The Accretion Of Light (ERAL) on March 3rd via Prosthetic Records. The album marks the completion of their conceptual trilogy which began in 2009 with their evoking LP The Martyrdom Of A Catastrophist, followed by 2011’s Reports From The Thresholds Of Death. Next in line was Junius’ latest release, the 2014 EP Days Of the Fallen Sun. Previous Previous post: Tower of Babel guitarist Joe Stump interviewed.